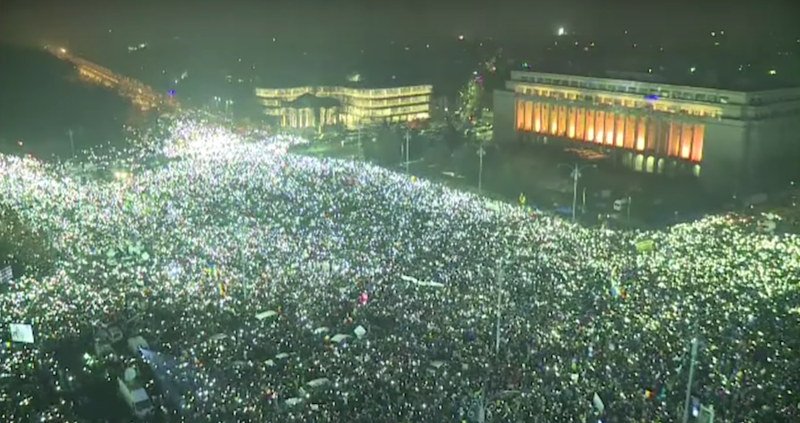 Romania’s anti-corruption protests took a spectacular turn recently. Erupting in the middle of the freezing cold night of January 31st, and drawing in more than half a million people across the country in only a few days, the protests were different from anything that had happened before in Romania. Employing choreography, props, lighting, scripts and video projection to a highly professional standard, they’ve consistently been called “beautiful”. A theatre director like me can only dream of staging a spectacle of these proportions. 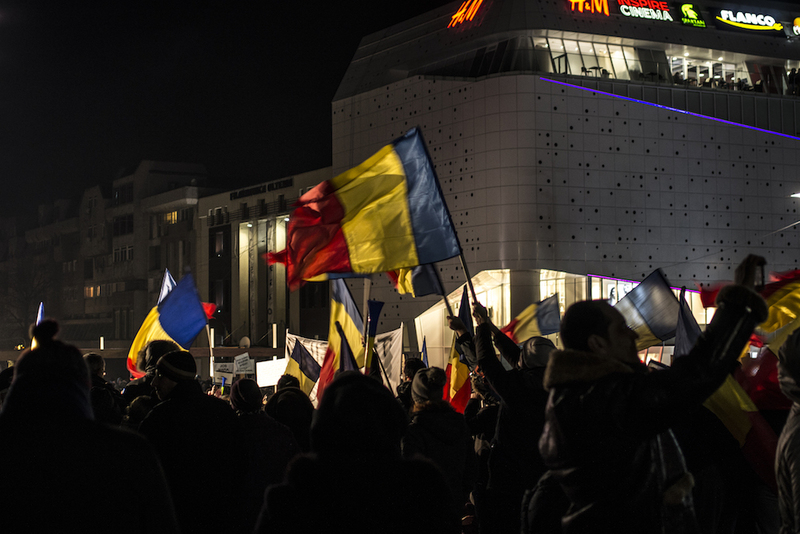 These demonstrations, named the “#rezist protests” after a widely circulated social media hashtag, were in vehement opposition to the newly elected Social Democrats, who passed a decree that would have weakened the country’s fight against corruption. 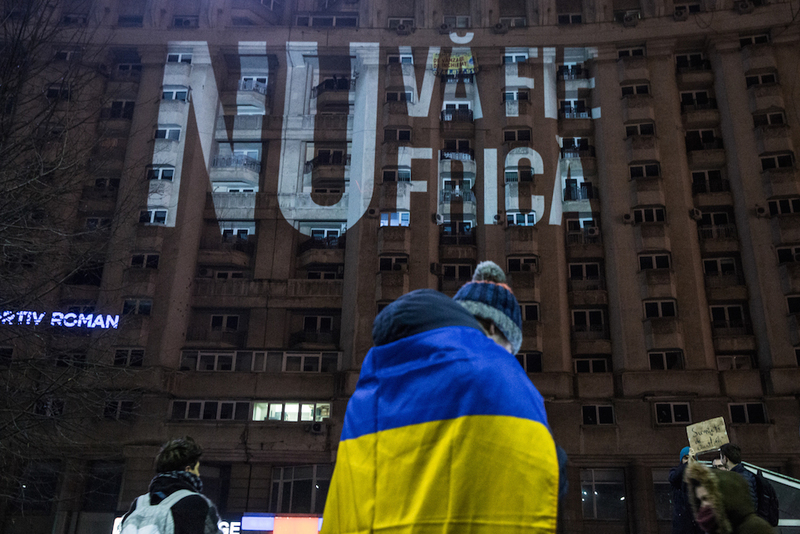 We Romanians have a dissonant relationship with petty corruption. Bribery is a deep-rooted cultural concept here. Everyone is sick and tired of it, but most people still do it in order to get things done better, faster and safer. 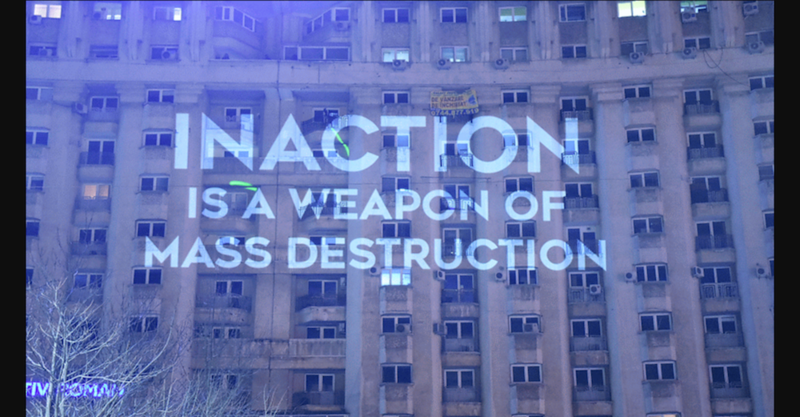 After the Spanish and the Greeks, Romanians are the EU citizens most affected by corruption. One NGO recently organised a crowdsourcing webpage handling information on bribe rates and bribe-free institutions. Here I learned that in Bucharest a university exam costs €250 ($265) and a favourable court ruling can set you back €7000 ($7411). When the ruling coalition passed a midnight emergency law viewed by many as a means to protect their colleagues from corruption charges, it was the final straw for many, and weariness, cold and riot police were not enough to prevent angry crowds from taking to the streets. But this time the people fought the kleptocrats with more than posters and slogans. Instead the protests took on a spectacular aspect, in the form of a human flag, a sea of light, choreography and a giant karaoke session. Some speculated that the ad-hoc mobilisations were funded by tycoons. Others criticised these initiatives for derailing the civic spirit of the demonstrations. As a theatre artist, I recognise a show when I see one. When I do, I’m prone to analyse its construction and agenda. These protests were an opportunity to witness big groups of people finding ad-hoc ways to perform their political and social desires. 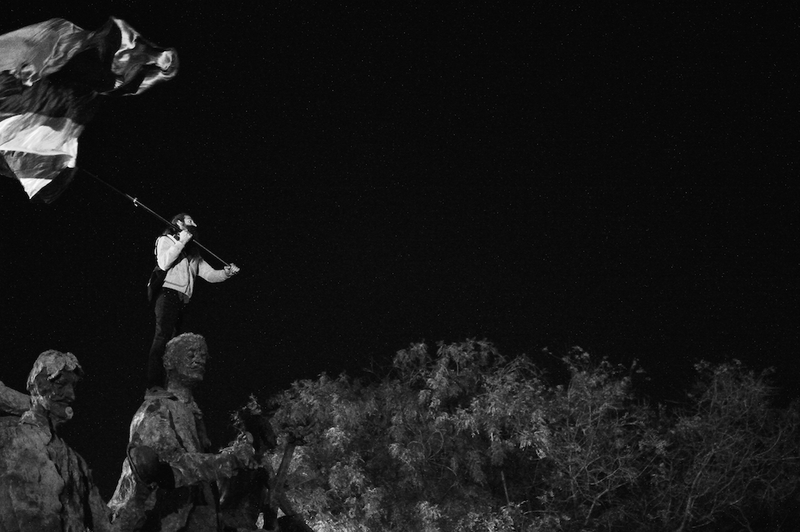 The idea of “performance” suggests a way of going about protest that is distinct from other, more behavioural, less conceptual forms of political expression (clashes with police, marches, sit-ins and so on). Performance involves the suspension of other forms of direct communication and relies on symbolic and ephemeral gestures to create an impact. What’s more, the way political dissent is performed sticks in the public conscience for long time after the streets have quietened down: as a result, one should think hard before staging it. The most popular performances of the #rezist protests took place during the night, at around 9 or 10pm. They were static, visual and monumental, and almost all of them employed technology and mass participation. In terms of their actual content, these creative manifestations were on the safe side of dissent. On one hand this safeguarded the protests against attacks from critics; on the other, it meant that, aesthetics aside, they were somewhat devoid of meaning. Lighting thousands of flashlights in the middle of the night could be seen as representative of a galaxy of unseen bodies becoming shining stars for a few seconds. 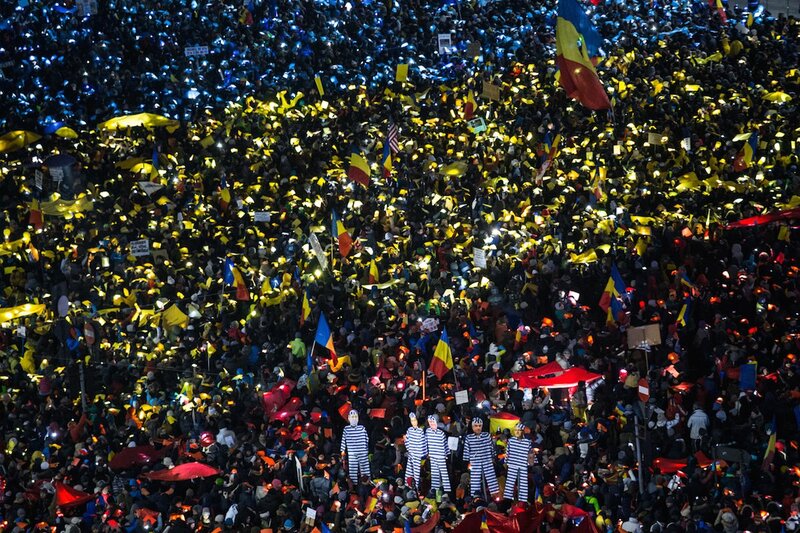 Creating a huge Romanian human flag — red, yellow and blue — can, at a stretch, be read as a symbolic transfer of state power from the institutions to the streets, from the authorities to civil society. But as a symbol it’s hardly as powerful, for instance, as the gigantic phallus that Russian art group Voina painted on a bridge raised in front of the headquarters of the security services in St Petersburg. Not to mention the historic allergy some of our parents have to mammoth displays of national symbols. 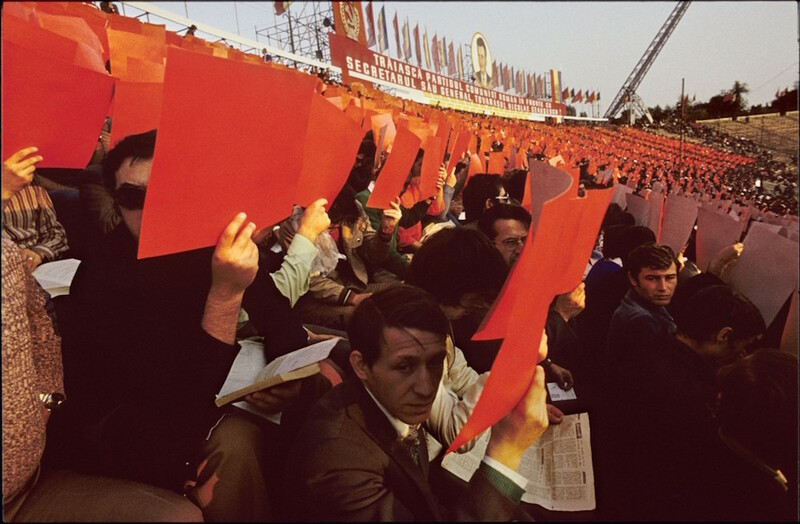 During national holidays under Ceausescu, people were coerced into holding up pieces of papers for hours on end. The image that was created? A giant human flag. One must acknowledge the historical significance such a gesture carries. Is the gesture aiming to attract the sympathy of locals or to generate worldwide visibility? I tried to see the protest-spectacles in the latter terms: they gave Romania-related news a distinct place in the international press. 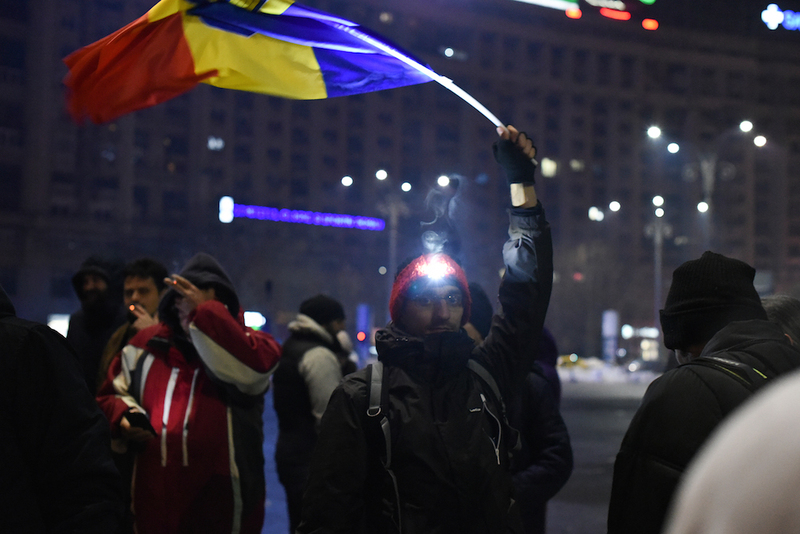 A quick online search for “Romania news” reveals that the first six pages of results pertain exclusively to the anti-corruption fight and the willpower of the Romanians taking to the streets. This in itself is new: previously, stories about human trafficking, human slavery and military bases were more representative of Romania’s online news presence. The international perception is shifting and many believe the powerful #rezist imagery is responsible for this. The glow of protesters’ flashlights in the darkness is like a call for attention right before the rest of the world goes to sleep. Romania has won plenty of visibility this time around. The government ultimately withdrew the disputed decree. A happy ending? If the case is closed, what are the lasting results? 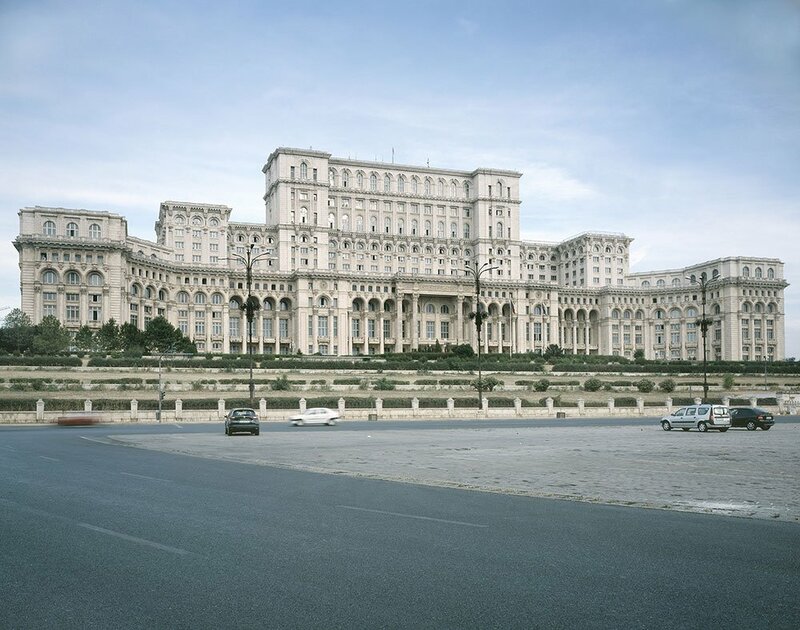 The cultural anthropologist Vintilă Mihăilescu recently commented that the #rezist protests marked the emergence of a new class in Romania: the creative class. What’s more, this new creative class is now being museumified, a sign of the extent to which the momentum of the protests seems to have gone. 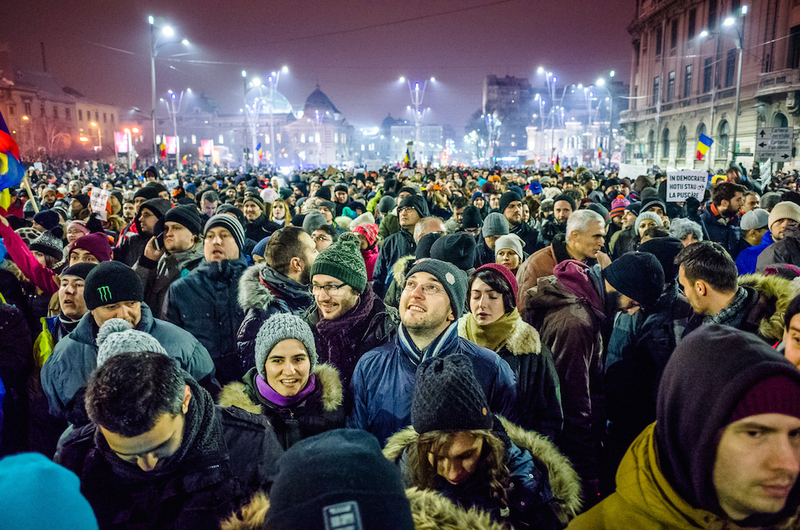 The National History Museum in Transylvania is collecting memorabilia from the protests, while the Village Museum in Bucharest recently announced a “huge” Protest Exhibition. In theatre school you learn that the creativity of your performance is not enough to truly captivate the audience. 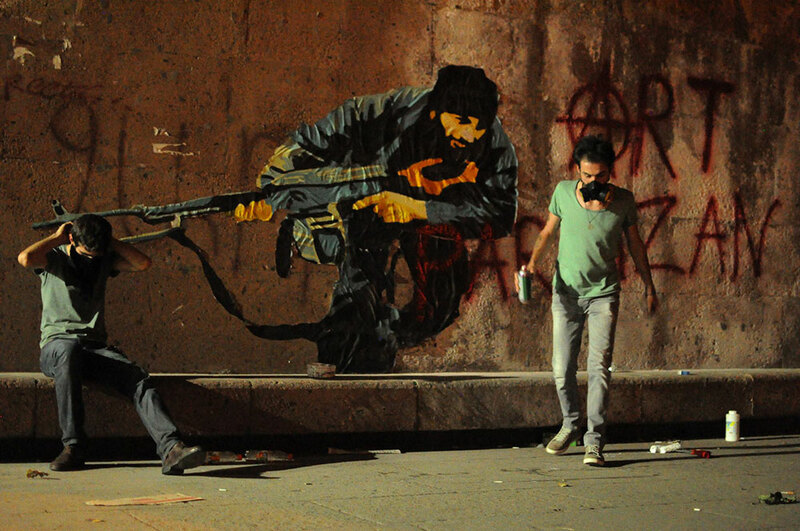 A good show, like an effective protest, needs style but also substance: reflection as well as spectacle.